HOME COMFORTS ... St James's Park. NEWCASTLE United’s FA Youth Cup dream came to an end in front of a huge crowd of 11,664 at St James’s Park tonight. Cup-holders Chelsea beat Newcastle 3-0 thanks to extra-time strikes from Isaiah Brown, Dominic Solanke, Tammy Abraham. But the scoreline didn’t tell the whole story. United’s Under-18s put in a gutsy and tenacious performance against a talented and expensively-assembled visiting team. And Chelsea had to work hard for their breakthrough, which didn’t come until the 94th minute. Newcastle, captained by Adam Armstrong, withstood a first-half barrage from Chelsea, who won an early penalty after Jay Dasilva was brought down by defender Michael Newberry. Freddie Woodman, the club’s penalty hero at Sunderland in the last round of the competition, stopped Brown’s spot kick. Chances came and went for Chelsea, and Woodman did well to tip away a deflected strike from Abraham. Some tenacious tackling kept United in the game – Kyle Cameron and Adam Laidler made timely challenges – Woodman stopped a fierce free-kick from Charly Musonda before the break. Woodman stopped another effort from the quick-footed Musonda early in the second half. 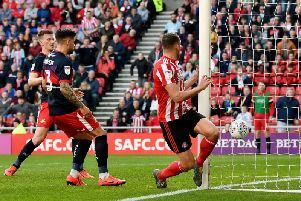 Newcastle lost Dan Ward to injury as the hour-mark approached – he came off worse in a 50-50 challenge with Jake Clarke-Salter, who was booked – and their first shot on goal came in the 59th minute. Sean Longstaff’s through ball created a chance for Jamie Cobain, whose shot was tipped over by Bradley Collins. Collins went on to make a double save to deny Armstrong and Jamie Cobain, while Solanke should have done better with a header at the other end of the pitch. The game went into extra time, when Brown’s pace made the difference. Brown raced on to a ball through the middle, outpaced the home defence and rounded Woodman to give the visitors the lead. Solanke made sure of Chelsea’s place in the semi-finals with a dinked finish in the 110th minute. And Abraham netted a third goal with one minute left on the clock. NEWCASTLE UNITED: Woodman, Cobain (Holmes 112), Laidler, Drennan (Johnson, 98), Newberry, Cameron, Ward (Hunter, 58), Williamson, Armstrong, Longstaff, Barlaser. Subs not used: Broccoli, Harker. CHELSEA: Collins, Aina, Tomori, Clarke-Salter (Suljic, 63), Dasilva, Colkett, Abraham, Musonda (Palmer, 68), Solanke, Scott (Sammut, 96) Brown. Subs not used: Thompson, Ali.